2017 is mine! I own it! I turn 40 this year and I’m embracing it with everything I am. There are three things I want to do more of and I’d like to say at least once a day, but I’m not going to set myself up for failure. I will just do more of these things: read, write and color. Seems simple enough, but I have failed at making them priorities in the past. I am a body in motion, I don’t sit until 8pm and I squirrel like it’s my job. It’s borderline ADHD, actually I was diagnosed with ADHD, but I’m not putting much credit towards the professional that made the diagnosis, so I’ll just call it heavy tendency to squirrel. By definition: multitasking, but maybe not so successfully, in that the tasks may not get completed. 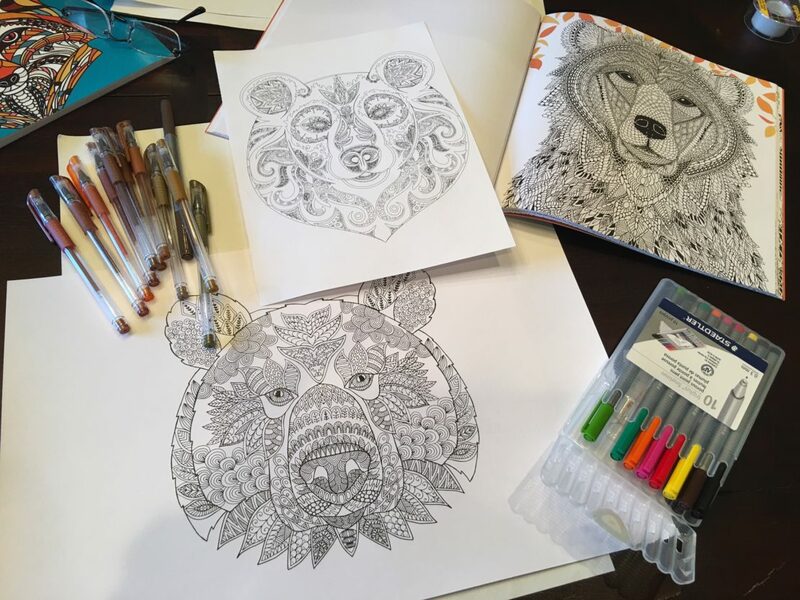 Reading, writing and coloring require a person to be still, this is a challenge for me. It goes a little something like this. I’m walking through the house to get the mail and pick up the dirty socks that are next to the plant that needs to be watered and then I hear the timer for the eggs boiling on the stove, my daughters shoe needs to be tied, the dishes in the sink need go away, the email I received needs to be responded to, the laundry gets turned over, my daughter wants a snack, my husband asks me a question I need to google the answer. By the time I finish opening the mail, it’s time to go to Judo or make dinner or go to work etc. etc. etc. By no means do I think my description doesn’t reflect that of most mothers, wives, daughters, sisters, women in general. My point is that I squirrel away my time doing things that do not completely satisfy me. I like a clean house and can’t relax in a dirty one, but it’s never clean enough to read, write or color so I’m re-prioritizing and I’m starting now! The Christmas tree is not down, the laundry needs to be put away, the floors need to be cleaned, the bills need to be paid, my truck needs to be serviced, we are going to a movie in 30 min and I am writing! 2017 and I are gonna get along just fine. I started coloring in the fall of 2015 and kind of stopped when summer of 2016 came along; I was having too much fun at the beach. 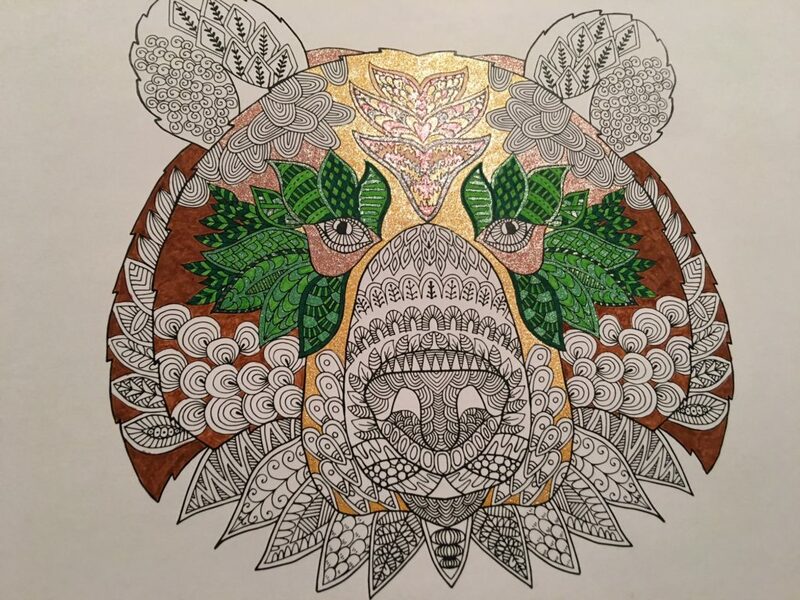 I find coloring relaxing and instantly gratifying. I like to frame and gift them to people in my life. 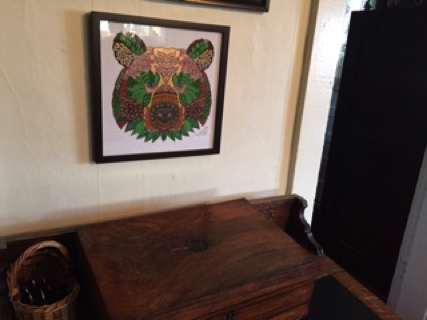 The first two recipients were my beautiful daughters, they love watching me and coloring with me and are proud of the pictures I hang on their walls. The third was a special couple that has had a wonderful impact on Perry and mines life (they will soon meet our daughters). 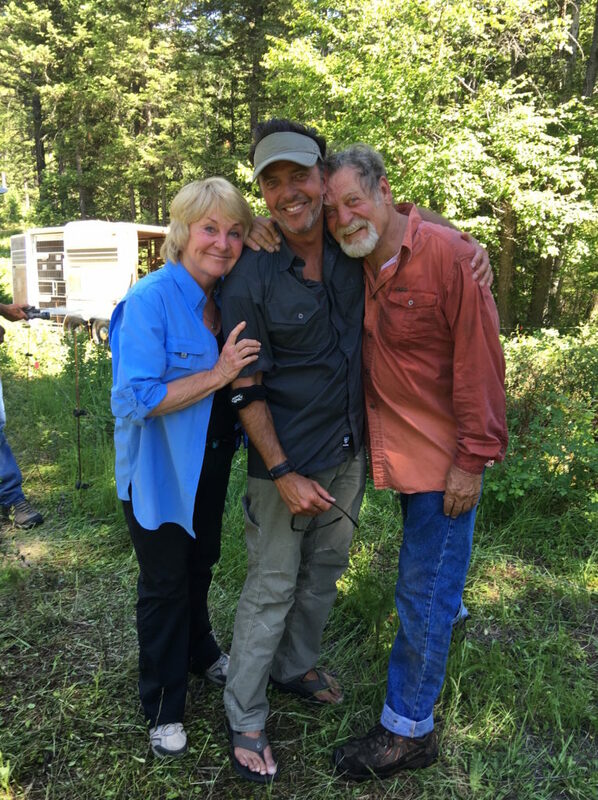 Lynn and Doug Seus are beautiful people and care for our planet and everything on it in a way I have never seen before. They have rescued countless wildlife and put so much effort into land preservation. Currently they care for three interior grizzly bears, Bart, Honey bump and Tank. I had the pleasure of meeting Bart and his relationship as a Seus family member, it was absolutely amazing. 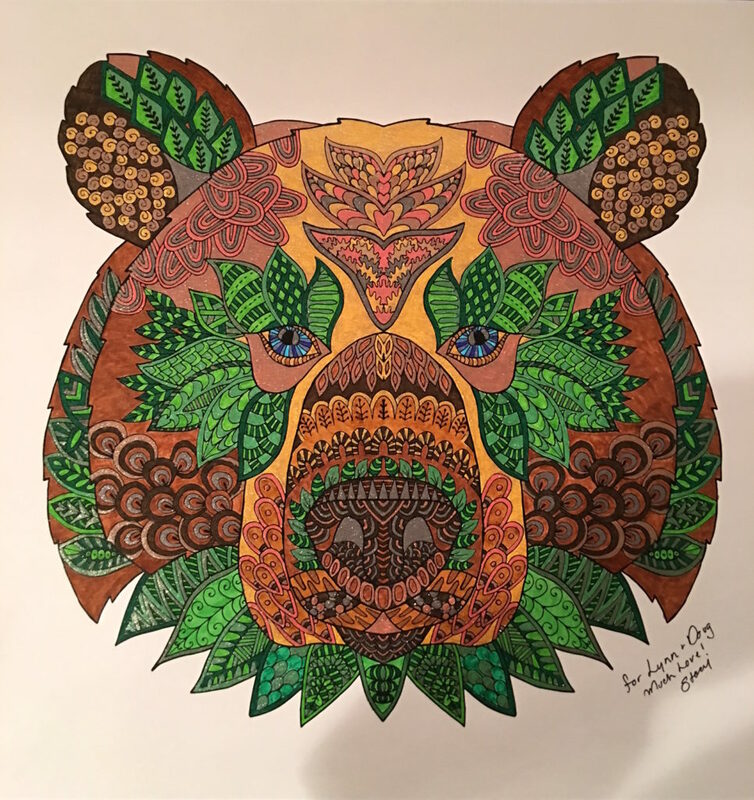 That’s a whole other blog in itself, but explains the bear coloring page. What are your goals for 2017? Join the discussion!